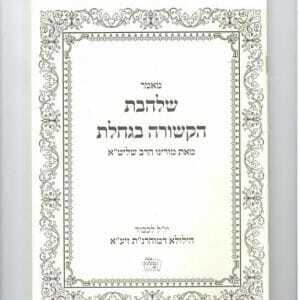 Rebbe Nachman of Breslov taught that the students of the Tzaddik are like the ‘seal’ of the Tzaddik. Just as it’s sometimes very difficult to read what’s written on a seal until it’s imprinted into soft clay, the same is true when it comes to recognizing the greatness of the Tzaddik. It’s sometimes much easier to grasp the light of the Tzaddik when it’s being reflected by his students. While many of the students of Rav Eliezer Berland, shlita, are already very well-known by the public and well-respected, there are also many other ‘hidden pearls’ – students who for various reasons have chosen to shun the limelight and continue their holy work in private. 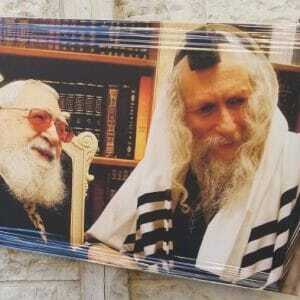 One such ‘pearl’ who normally remains hidden from the public and from the media is Rav Avraham Hajbey, who is an enormous talmid Chacham (Torah scholar) in his own right, despite his very low public profile. Recently, this ‘hidden pearl’ made a very rare public appearance. 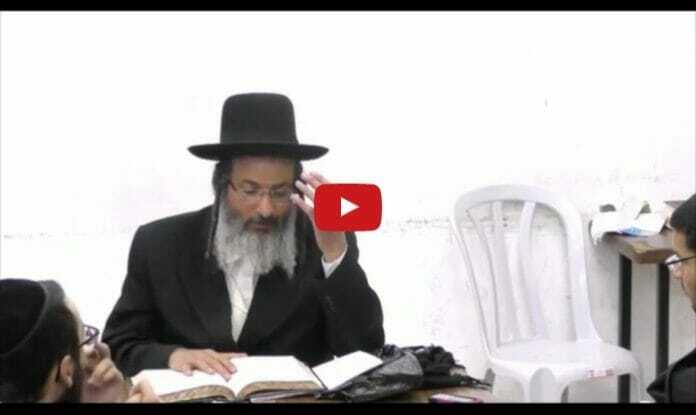 We are pleased to be able to bring you the following clip (in Hebrew) and the English translation of a recent, rare, Torah class that Rav Hajbey gave in public to the ‘Netzach Netzachim’ kollel, in Bnei Brak. 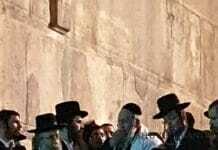 WHY DO WE WAIT EIGHT DAYS TO PERFORM THE MITZVAH OF CIRCUMCISION? “’And On the eighth day, circumcise the flesh of the foreskin’,” begins Rav Hajbey. “From this commandment, we learn that Hashem Yitborach wants us to circumcise the newborn at the age of eight days old. Practically speaking, this is the only mitzvah that we are obligated to do at this age, with the rest of the mitzvahs only being obligatory once we reach the age of 13 years old. “Rebbe Nachman teaches (in Likutey Moharan 6) that the ikker (main point) of teshuva is when you hear yourself being disgraced and insulted, and you keep quiet. And now, we also need to understand how is accepting shame and insults and making teshuva connected? Rebbe Nachman brings the Gemara (Tractate Yoma) that explains that if one wants to defile himself, he’s enabled [from Heaven] to do that, and that if one wants to purify himself, he’s also helped [from Heaven]. And how is he helped to do this? They tell him that he has to wait! “Because really, the ikker (essence) of humility is when a person knows that he is nothing by himself, and that everything he has is from Hashem. OK, really none of us are at that sort of level of humility yet, but until we actually get there, bezrat Hashem (with God’s help) we’re actually stealing Hashem’s pride (or ‘honor’) from Him. 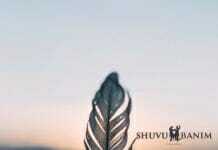 “This pride is one of the garments of Hashem Yitborach. Whenever I want something that goes against Hashem’s will, I’m effectively stealing this pride / honor that otherwise should have been given to Hashem. “In order to restore the pride / honor that I ‘stole’, in a manner of speaking, from Hashem Yitborach, I need to hear myself being insulted, ashamed, persecuted and disgraced – and to keep quiet, from the aspect of ‘hear yourself being insulted and stay silent’. “And this is how it plays out, that if a person comes to purify himself (spiritually), and if he wants to make teshuva and return (to God), he’s consequently beset with miniot – all sorts of difficulties and problems. 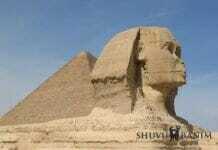 And a person should know that these miniot and these obstacles are coming from the holy side. Because if things went easily for a person, for example, as soon as he started learning Torah he’d immediately plumb its deepest secrets, it would be impossible for him to escape from the feelings of pride and conceit that would accompany such an achievement. “Rebbe Nachman teaches that the only possible way to nullify this sort of pride and arrogance is by coming close to, and nullifying yourself, to the Tzaddikim. In order for us to merit having Hashem come and perfume our steps, and to linger amongst us, a person first has to leave their arrogance and pride behind, because HaKadosh Baruch Hu can’t stand any hint of pride. “Hashem gives us the present of having to wait, until we merit to know that everything that we actually of worthy of doing [in the service of Hashem] – it has nothing to do with us. “For as long as a person is serving Hashem ‘by himself’, he’s also thinking that he’s achieving whatever he’s achieving ‘by himself’. But, when he starts to draw close to the Tzaddikim, he starts to understand that someone else’s merit is what helped him to achieve these things. From here, he can continue, and he can come to the awareness that he only attained everything he did because Hashem Yitborach helped him. 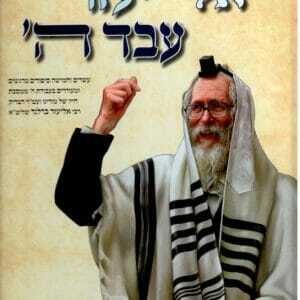 “In every generation there’s a Tzaddik who’s from the aspect of Moshe Rabbenu of the generation. 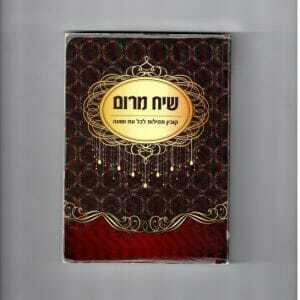 Drawing close to this Tzaddik is a segula (supernatural spiritual aid) for nullifying pride and arrogance. “Everyone was nourished in the merit of Rabbi Chanina Ben Dosa, who was the Tzaddik of the generation, both spiritually and materially. Because the Tzaddik is the only person who has merited to completely nullify himself to Hashem Yitborach, and by doing this he merits to receive the simple light. The Tzaddik is the main [spiritual] pipe, and we can only receive from him [in turn]…. “In order to reveal that everything we are, and that everything we do, only comes from the hand of Hashem Yitborach, we need to wait for a very long time, because if everything went easily for a person, he would never, ever, understand that everything only comes from Hashem. “And this is the secret as to why we have to wait eight days before we circumcise a baby, and remove the spiritual impurity of the foreskin. These eight days hint to the seven bodies of water that Rabbenu mentions in his Sipurey Maasiot (‘Rebbe Nachman’s Stories’), that include all the obstacles and all the difficulties that a person has to go through, until he gets to the eighth day, when he finally merits to achieve whatever he’s meant to achieve. “Throughout this whole time, a person is prevented, practically, from passing through the gates of holiness, and he is forced to wait. “Rebbe Nachman hints at this, when he tells us we have to wait to perform the mitzvah of circumcision. Hashem Yitborach tells us to wait, but in the end He releases us from our prisons, because ‘a prisoner cannot free himself from prison’. Thanks go to Rav Yaakov Selma, shlita, who videotaped this shiur and made it available to us to share with you.